CONDITION REPORT: The dial, hands, bezel and case are all original. The case is excellent condition and overall sharp and thick. The rare 7912/6 bracelet is in mint condition complete with full links. 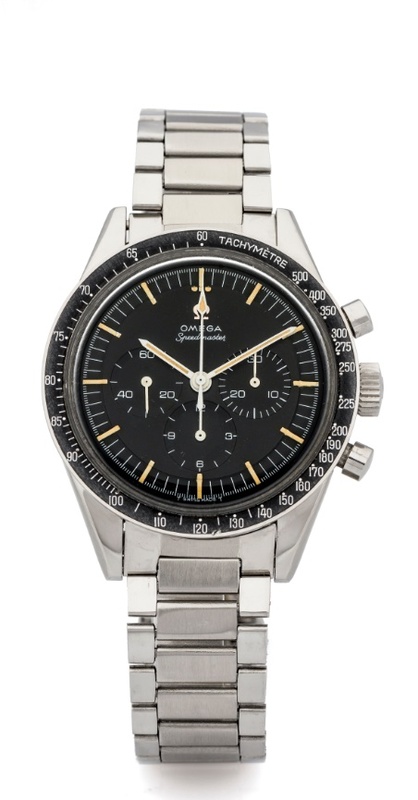 Overall a stunning example of the first reference 105.003-63. NOTES: The present watch was manufactured on November 30, 1964 and subsequently delivered to France according to the Omega Museum.